We appreciate the time you’ve taken to visit this site and find out more about our Lamar dental practice, our team, and the many dental care services we can provide to help you achieve optimum oral health. To learn more about a specific doctor at our practice please read below. Dr. Ted Reavley graduated from University of Missouri @ Kansas City School of Dentistry in 1978. He has committed his practice to serving his patients by using continuing education and the latest technology to provide optimum dental health. The Reavley name has been in dentistry for over 87 years in Barton County Missouri. Dr. Jack Reavley practiced dentistry for 56 years before Dr. Ted. Now, Dr. Ted Reavley’s sons and son-in-law are following in their father and grandfather’s footsteps: Dr. Brenton Reavley-graduating in June 2009 in Endodontics; Dr. Brian Reavley-graduating in 2011 in General Dentistry; and son-in-law Dr. Michael McNaught-graduating in 2013 in Oral Surgery. 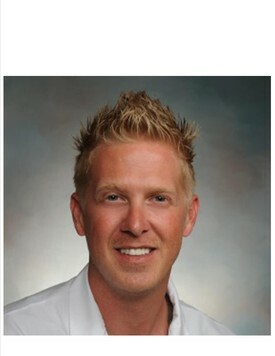 Dr. Brian Reavley graduated from University of Missouri@ Kansas City School of Dentistry in 2011. He enjoys helping others through his commitment to dentistry. He enjoys getting to know his patients and the services that would best suit their particular situation. He enjoys learning and updating his dental knowledge through various continuing education courses through the year. He also practices @ Jordan Valley clinic in Springfield, MO. He has a Siberian huskey named Chase and in his free time enjoys hunting, fishing, gun collecting and construction with his Caterpillar 289D skidsteer.